Last Saturday was a fantastic day for the Prior’s Field Riding Club, competing in the County Interschool Show Jumping Qualifiers at Felbridge. Under trainer Nick Edwards’ watchful eye, all the Prior’s Field girls jumped their hearts out and finished the day with big smiles, having secured a fantastic 6th place overall in the team show jumping 80/85cm class. Well done to First Former Jessica, Second Formers Evie and India, Third Former Jemma, Fourth Former Stephanie and Fifth Former Lucy. Prior’s Field Riding Club, competing in the County Interschool Show Jumping Qualifiers at Felbridge. 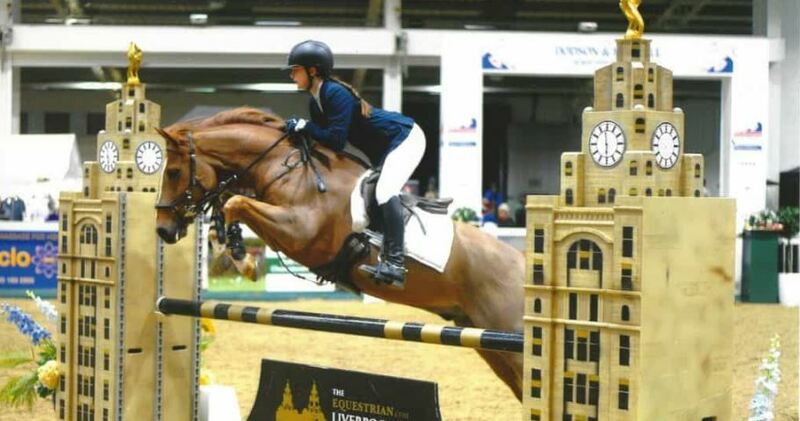 Third Former Claudia was one of more than 200 riders from all over the UK, competing in the National Amateur Show Jumping Championships at Aintree. A brilliant clear round in the qualifier put Claudia, and her horse Cello, through to the Grand Prix Final. Again jumping a great clear round, they went through to a jump off against the clock, one of only 22 competitors to reach this stage. A final fence down in a nail biting finish did nothing to diminish their achievement at this national level: well done Claudia. Accolades pour in for Prior’s Field whole school production of Oliver!